Sometimes I get orders for new items. I don’t usually make bags, but offered to make one for a local lady who already had the fabric. She dropped off the fabric for me and I prepped it. 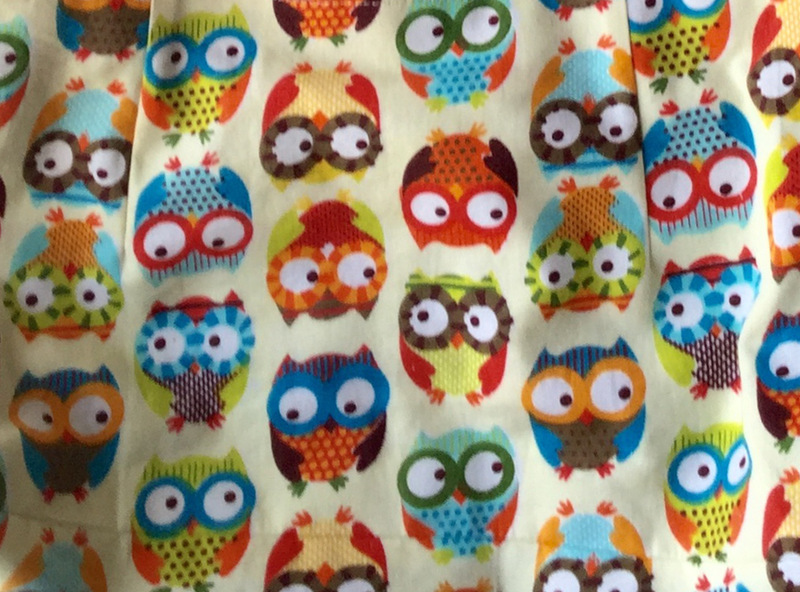 It was an owl fabric – very cute. However, it was a ‘seconds’ fabric which means that there was something wrong with it. The fabric itself was warped (not straight) and it was cut badly. The owls had also not been printed evenly. After washing, air-drying, ironing and pulling on the corners, it was as straight as it was going to be. If I went by the weave, the owls would look drunk. If I went with the owls I had to decide for vertical or horizontal. I went with the vertical. I also decided to patchwork it with some other fabrics I already had to help stop the finished bag from twisting and getting pulled out of shape. I lined it too, with some plain white cotton. 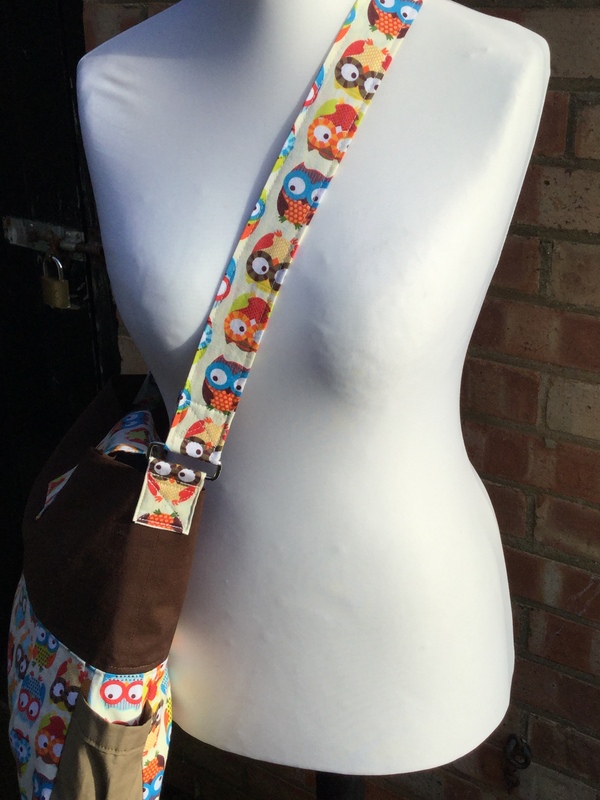 The original pattern had 2 shorter straps one on the front and the back of the bag that I swapped for a long adjustable strap so it could be hung over a pram handle. I also swapped popper closure for a strap and button. It turned out well, I think. I’ll update you with the buyer’s response when she comes to pick it up! If you’d like to use a similar pattern, I bought it from SusieDDesigns on Etsy. The one I used isn’t currently listed in her shop. 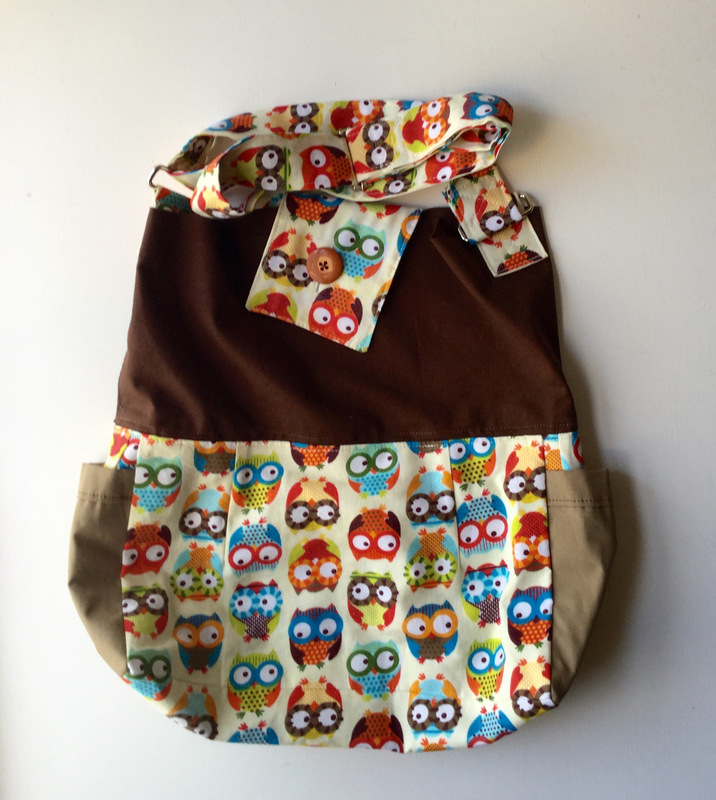 I love this bag, handmade by Denise Hayes, over at Through the Looking Glass. 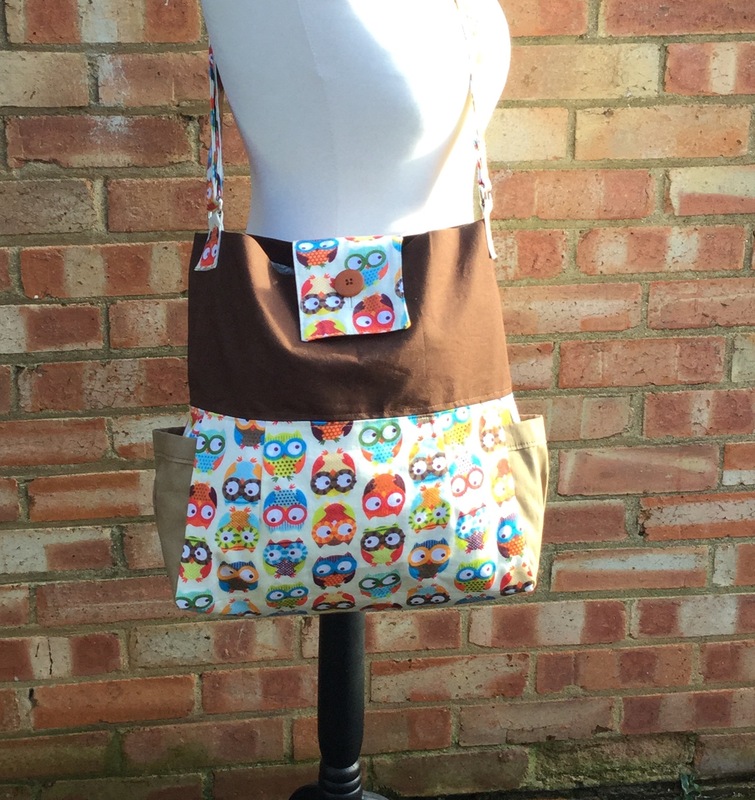 Denise used one of my sewing patterns to make this fab bag, with some great adaptions. Great work, Denise and thanks for sharing! Hi Denise, this is fabulous! 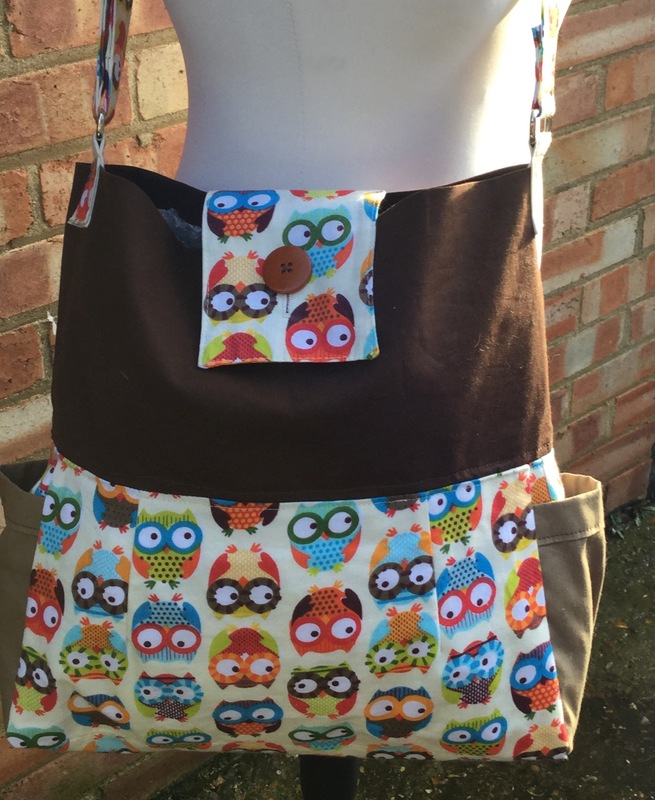 What a gorgeous bag you made from my Cara sewing pattern and thanks so much for sharing. I love the adaptions you did and it sounds like you had a job on your hands with the state of the fabric. Well done, it’s turned out beautifully. I’ve shared on my blog and Facebook.